Recently released footage of the arrest of Colorado House Speaker Pro Temp Dan Pabon (D-Denver) for drunk driving shows the high-ranking Democrat’s true colors as he tries to talk his way out of a DUI. The video is cringe worthy. Pabon pleads with the officer to “put a call into [his] supervisor or the city attorney,” as if someone higher up might be able to save him from experiencing the consequences of his own actions. The officer (smartly) replies that it’s not worth risking his job and hurting his family. While Pabon handled the immediate aftermath of the DUI fairly well, giving a tearful apology on the house floor and admitting his mistake, this video essentially erases all that. A DUI can be forgiven, but expecting special treatment because you’re an elected official is exactly the kind of corruption that voters won’t tolerate. Adding insult to injury, Pabon sponsored legislation to increase the punishment for DUIs while he was simultaneously trying to get an exception for himself. It’s a double standard that is downright shameful. It remains to be seen whether this incident will give Ben Higgins, Pabon’s opponent and a recent “bachelor” from The Bachelor, an opening to win the heavily Democratic district in west Denver. 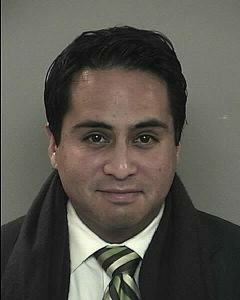 Though, it certainly doesn’t help Pabon’s political career or mayoral aspirations. On a positive note, however, the real winner in all this: body cameras. Let’s see more of those on cops, shall we?